It is a condition in which hormonal imbalance occurs (reproductive hormones) like estrogen or testosterone and as a result excessive activity or hyper functioning of gonads takes place. The imbalance of the hormones can lead to the puberty at early stage, later in life or the patient can be born with this. 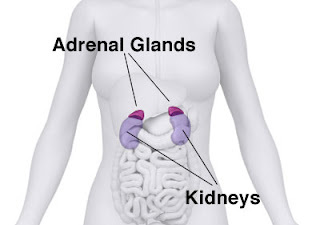 It is a disease of endocrine glands. It can occur in both males and females but are more common in males. In hypergonadism the level of reproductive hormones increases and cause infertility in males and females. Hypergonadism is very rare. To check the severity of hyper gonadism the tests are performed. The hormones whose levels are to be checked in males are testosterone, luteinizing hormone (LH), follicle stimulating hormone (FSH) and in females estrogen level is checked or hyper gonadism. In males, during early puberty there is an increase in secondary sexual characters due to the malignant tumor of testicles. The reproductive organ is abnormally developed in large size in both males and females. In females, early puberty occurs due to the ovarian malignant tumor (caused by lesions of adrenal gland mostly adenomas adeno carcinomas. Mental development is delayed along with sexual and physical development. 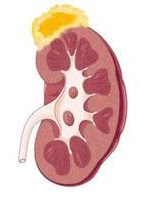 • Liver and kidney disease. • Any kind of infection. • Some auto immune disorders. • Development disorders by birth. • Hormonal imbalance ( the levels of testosterone and estrogen abnormally increases ). • Anabolic steroids can also be a major cause for high levels of androgen and estrogens. • Dropsy of the ventricles of the brain. • Destruction of endocrine glands. • Beard comes out in women. • Premature development of organ but have no power. • Sometimes sudden hot flashes of blood comes out in women. • Loss of beard in men. If fertility is a concern then the patient should consult a reproductive endocrinologist.